The biggest gathering of Dakotas in 75 years. More than thirty Douglas DC-3 Dakotas and C-47 Skytrains, as well as hundreds of paratroopers, will mark 75 years since the D-Day invasion heralded the liberation of Western Europe. Daks from as far away as the USA, Canada, and Australia will join others from Europe. 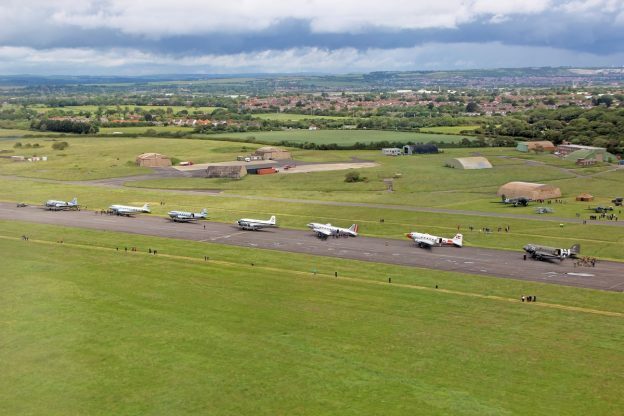 The Daks over Normandy event is held in two locations: from 2 to 5 June at Duxford Airfield in the United Kingdom and from 5 to 9 June at Caen Carpiquet Airport in Normandy, France. In the first phase, the aircraft will gather at the UK’s Duxford Airfield from 2-5 June. On 5 June, some 250 men and women in WW2 style uniforms will board the Daks for the flight to Normandy, where they will commemorate the historic jump that preceded the D-Day Landings. Daks Over Normandy will be repeated at Caen Carpiquet Airport in Normandy, France from 5-9 June. 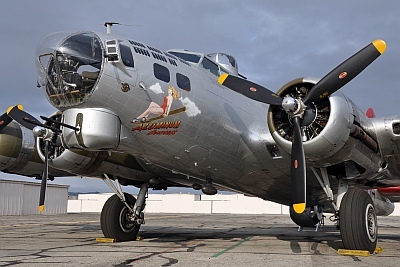 The events will include static and flying displays, as well as meet-and-greets and the chance to board Dakotas. Tickets will only be available in advance, from the event website. Ticket sales begin February 1, 2019. Please see the event website for the latest information. This entry was posted in and tagged air show, C-47, Daks over Normandy, DC-3, history, parachute, UK, WW II on June 2, 2019 by maxflight. 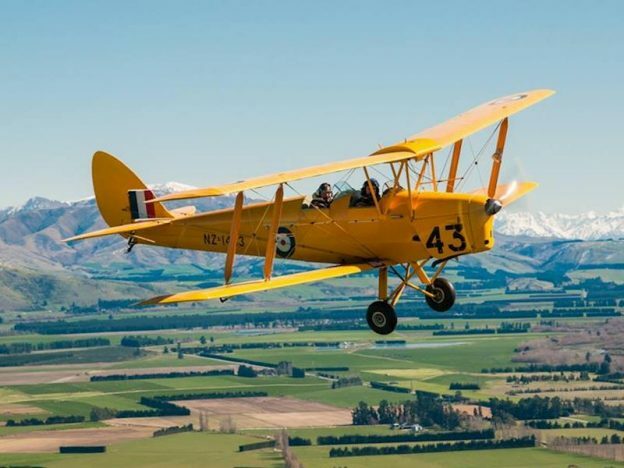 Wings Over New Zealand is having another of our popular Forum Meets, this time at the Air Force Museum of New Zealand, situated at Wigram, in Christchurch on Saturday 30th of June 2018. There will be guest speakers, a chance to mix with fellow aviation fans and special guest Bryan Cox, the legendary WWII Corsair pilot, instructor, author and still flying at 93 years old. This event is NZ$10.00 at the door, but you need to let me know if you’re coming so you will be on the list. This entry was posted in and tagged Air Force, Air New Zealand, Aviation Geek Fest, Aviation museum, helicopter, history, Museum, warbird on June 30, 2018 by maxflight. We talk with Adventure Pilot’s Brian Rutherford about aircraft route planning, air navigation, and iFly GPS. Also, Ryanair flight cancellations and pilot pay, a Bombardier CSeries order, and headway made for NextGen. Adventure Pilot’s Brian Rutherford and the iFly GPS air navigation solution. Brian Rutherford is sales and marketing manager for Adventure Pilot, makers of iFly GPS air navigation solutions. Brian describes the current air navigation landscape, the role of GPS and ADS-B, and how they work together. We look at the iFly GPS offerings and features. iFly GPS is a multi-platform air navigation solution for iOS, Android, Windows, and dedicated systems that provides support for ADS-B traffic and weather. iFly GPS moving map navigation includes advanced features like geo-referenced hi-def VFR and IFR charts, de-cluttered vector mode, AutoTaxi+, RealView, and the comprehensive Active Alert System. 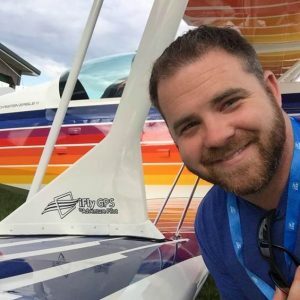 Brian holds a private pilot’s certificate and comes from the world of online retail, working at an Amazon subsidy called Woot.com as a buyer. He was a Sr. Brand Manager for a licensed apparel company called BioWorld. Brian also served on the board of EAA Chapter 1246, one of the largest chapters with 100+ dues-paying members. Find Adventure Pilot on Instagram and Facebook, and be sure to listen for the special 10% discount code available to Airplane Geeks listeners! Ryanair chief Michael O’Leary has had to offer pilots a pay raise to get them to keep flying. This after “a rostering debacle” when the airline changed its holiday year. See also Ryanair cancels flights after ‘messing up’ pilot holidays and Ryanair may face legal action over flight cancellations. Engine delays from Pratt & Whitney will reduce 2017 CSeries deliveries to 20-22 from the 30 aircraft planned. Bombardier Chief Executive Alain Bellemare told analysts “This is a short-term issue that Pratt is actively addressing.” Meanwhile, Bombardier negotiated a letter of intent for 31 firm and 30 option CSeries orders from an unnamed European customer. The airframer says the order is not related to news that Airbus plans to take a majority stake in the program. Multiple runway options allow the FAA to reduce the separation between aircraft because of improved wake categorization standards. The FAA has implemented this capability at some busy U.S. airports including Hartsfield-Jackson Atlanta International Airport, Houston’s George Bush Intercontinental Airport, and New York’s John F. Kennedy International Airport. Performance-based navigation lets aircraft fly more directly from departure to arrival using satellite signals. Initial operational capability is three months ahead of schedule in the Northern California Metroplex. Between September 2014 and April 2015, the FAA conducted a phased implementation of 44 routes covering the greater San Francisco Bay Area and Sacramento. Surface operations have improved. The FAA has implemented the System Wide Information Management (SWIM) Surface Visualization Tool (SVT) ahead of schedule at five terminal radar approach control facilities. The system allows tracon controllers to better monitor congestion and plan for changes on airport runways and taxiways, especially during inclement weather. Data comm has been implemented at towers across the nation, approximately two and a half years ahead of schedule. Stratux – A Raspberry Pi-based homebuilt ADS-B In receiver. 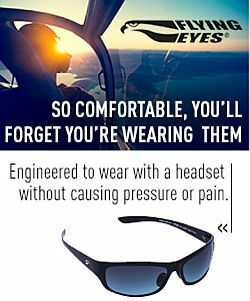 Also available in the iFlyGPS store. For more information, see Live Weather and Traffic for Less Than $120 from EAA. John Mollison tells us that “Old Guys and Their Airplanes” (OGTA) released the award-winning documentary film South Dakota Warrior. The film explores the character behind World War Two’s Battle of Midway hero, LtCDR John C. Waldron. Waldron established himself in history by leading his torpedo bomber squadron (VT-8) in what appeared to be a futile attack against the Japanese carrier fleet during the opening moments of the crucial battle on June 4, 1942. The story causes the viewer to examine the qualities and responsibilities of leadership. Waldron, along with 28 other men of his squadron, was killed during the battle. He valued his Native American (Lakota) heritage and made reference to this fact as a personal inspiration. Sky Spotters – an entertaining comic from XKCD. This entry was posted in Episodes and tagged Bombardier, CSeries, history, iFly GPS, Navigation, NextGen, Ryanair on November 8, 2017 by maxflight. The history of the Women Airforce Service Pilots (WASP) and the controversy surrounding their burial at Arlington National Cemetery. Also, battle lines forming over privatization of air traffic control, Southwest pilots take a stand, Iran orders more airplanes, a high altitude long endurance pseudo-satellite, tanker news, the Knightwatch E-4B, and your favorite airplanes. Sarah Rickman is the editor of WASP News, published by Texas Woman’s University (TWU), the home of the official WASP Archives. The Women Airforce Service Pilots flew for the U.S. Army in World War II. Since 2003, Sarah has been a WASP oral historian for TWU, recording many of these ladies’ stories on audiotape. Sarah tells us about the history of the Women’s Auxiliary Ferrying Squadron (WAFS) and the Women Airforce Service Pilots (WASP). We also discuss the current controversy about the burial of WASPs at Arlington National Cemetery, the United States military cemetery. 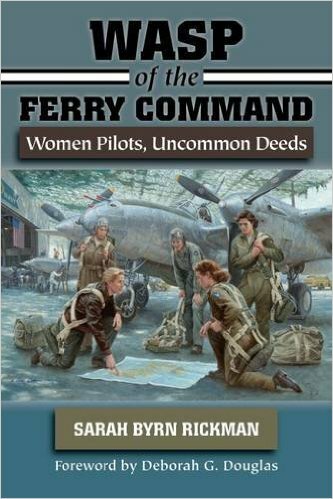 Two new books on the WASP will be published this spring: WASP of the Ferry Command: Women Pilots, Uncommon Deeds from the University of North Texas Press, and Finding Dorothy Scott: Letters of a WASP Pilot, from Texas Tech University Press. Sarah received the Combs-Gates Award for 2009 presented by the National Aviation Hall of Fame in Dayton, Ohio. Her grant is to research and write the story of the WASP who flew for the Ferrying Division in World War II. In addition to her books on the WASPs, Sarah is the author of numerous magazine and journal articles about the WASP. Sarah is a former reporter/columnist for The Detroit News and former editor of the Centerville-Bellbrook Times (Ohio). She earned her B.A. in English from Vanderbilt University and an M.A. in Creative Writing from Antioch University McGregor. 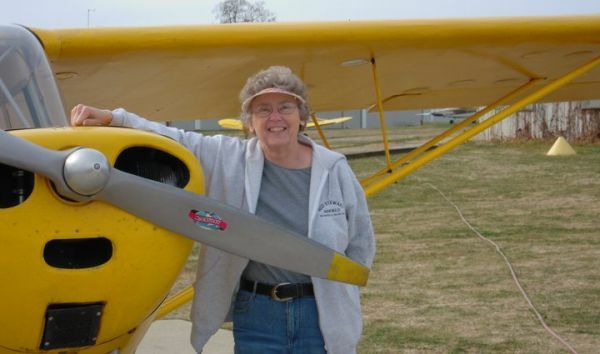 She describes herself as a former journalist and former novelist who “found” herself when she met these amazing women who flew airplanes for the Army back when many women didn’t even drive cars. The U.S. House Transportation and Infrastructure Committee conducted a “markup” hearing February 11 on the Aviation Innovation, Reform and Reauthorization Act of 2016 (H.R. 4441). The bill was amended and the Committee voted to send the legislation to the full House for consideration. The Experimental Aircraft Association (EAA) voiced its opposition to privatizing ATC by submitting a statement in opposition to privatized ATC. National Business Aviation Association (NBAA) President and CEO Ed Bolen said the association would remain undeterred in opposing the bill as it makes its way through the legislative process. National Air Transportation Association (NATA) President & CEO Thomas L. Hendricks calls ATC privatization a “threat” to general aviation. More at the NATA Congressional Action Center. Under the sanctions, Iran’s commercial aviation capability suffered greatly. That’s all changing now. Iran Air has signed a purchase agreement with ATR for 20 firm and 20 option ATR 72-600 turboprop aircraft. The deal is valued at €1 billion. Solar-powered, long duration drones and other aircraft are development by companies like Google and Facebook to provide Internet service using them as pseudo-satellites. Now the British military is purchasing two solar-powered “Zephyr” high-altitude, long-endurance (HALE) UAVs from Airbus. These autonomous unmanned systems would be used for long-term surveillance missions, and possibly to provide communication and ground support in remote areas. The Zephyr, originally developed by UK firm QinetiQ, has a 23m wingspan and yet only weighs 55kg and cruises at 20km. The first air-to-air refuelling from a Royal Australian Air Force (RAAF) KC-30A Multi Role Tanker Transport. For the first time, a Boeing’s KC-46 tanker refueled a Navy F/A-18 using its hose and drogue system. Naval Air Systems Command plans to release a new draft request for proposal later this year for an unmanned aerial refueling tanker. According to sources, the final RFP for the Carrier Based Aerial Refueling System (CBARS) is due out in FY 2017, with contract award in FY 2018. David finishes out his discussion of Doomsday Planes with the converted 747-200Bs, otherwise known as the E-4B Nightwatch that serves as the National Airborne Operations Center (NAOC). Rob gives us the results of the call for our listeners to tell us what their favorite airplane is and why. Like many others, Micah had trouble picking just one. Bruno Misonne composes music that incorporates the sounds of aviation in very unique ways. His latest creation is “The Sound of Flaps.” Bruno tells us this was “the most challenging project ever created. Everyone who regularly takes the plane becomes aware of this characteristic sound of flaps extending or retracting, a sound that becomes very audible when you are sitting in the cabin above the wings! It has been challenging to find a way to mix that sound with music since at first glance it seems quite impossible to do in such way that the result is pleasant! The Aviation Rulemaking Advisory Committee’s Airman Certification System working group (chaired by AOPA) has been tasked with developing new certification standards, handbooks, and test development guidance for aircraft mechanics. Opening music courtesy Brother Love from his Album Of The Year CD. Outtro by Bruno Misonne from The Sound of Flaps. This entry was posted in Episodes and tagged Airbus, ATC, ATR, history, Iran, Southwest, Tanker, WASP, Zephyr on February 17, 2016 by maxflight. John Mollison tells us how his artwork and his interviews capture the human side of aviation history. In the news, we talk about the FAA reauthorization bill, and consider if United Airlines is getting better. Also, spraying airplanes to fight the Zika virus, the A-10 gets a reprieve, and Icelandair steps up their game with a Stopover Buddy. Artist and writer John Mollison has interviewed well over 100 highly decorated airman since 1999 including: Medal of Honor recipients Joe Foss and Leo Thorsness, Presidential candidate and Senator George McGovern, bestselling author Robert Mason, and Morris Jeppson, the Bomb-Electronics Officer aboard the Enola Gay, to name a few. 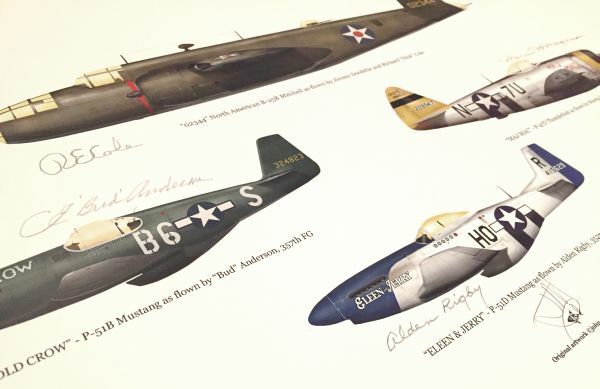 In his words, John “Interviews old guys and draws their airplanes.” He uses the process of capturing an exact, historically accurate rendering of a particular combat aircraft to learn more about the human side of history. John interviews the pilots and aircrew of particular aircraft to to learn: What makes people go to war? What makes people cope with stress? How do people define success? And most importantly, what can be passed on to future generations so they can avoid the mistakes of the past? His artwork and historical contributions, including his “Old Guys and Their Airplanes” documentaries can be viewed at: www.oldguysandtheirairplanes.com and www.johnmollison.com. On Feb 3, Rep. Bill Shuster (R-Pa.), chairman of the House Transportation and Infrastructure Committee announced bill H.R. 4441, the Aviation Innovation, Reform, and Reauthorization Act of 2016, the AIRR Act. The AIRR Act proposes privatizing ATC via a federally chartered not-for-profit organization, third class medical reform, certification reform, and user fees for airlines and Part 135 charter operators. CEO Oscar Munoz was upbeat and enthusiastic in the earnings call, 79% of the United pilots ratified a two-year contract extension, United operations are improving, United is building its San Francisco hub as the primary U.S. gateway to Asia, Boston-based PAR Capital Management increased its stake in the carrier to 8.9 million shares or 2.4% of the airline. The British government is asking all airlines that fly from areas affected by the Zika virus to spray their planes with insecticide before coming back to the U.K.
Want To Go Skiing With Icelandair’s CEO? Icelandair and WOW Air are competing with low fares between the U.S. and Europe using Iceland as a waypoint. But now Icelandair is stepping up the game and testing an idea where passengers enjoy Iceland’s sights during a layover, before proceeding to their destination. Under this program, passengers can request an Icelandair Stopover Buddy to act as a kind of free tour guide. Jeff Pino was president of Sikorsky aircraft from 2006 to 2012. Recently, he was the Vice Chairman of XTI Aircraft Company, developing the Trifan 600 VTOL for the commercial market. Pino and was killed February 5, 2016 in the crash of his P-51 Mustang in Arizona. This entry was posted in Episodes and tagged A-10, FAA, history, Icelandair, Sikorsky, United Airlines, XTI Aircraft on February 10, 2016 by maxflight. The history of an early aviation pioneer, update on hidden city ticketing lawsuit, Jetblue starting flights to Havana, jet engine big data, a possible narrowbody future for Rolls Royce, Leap-1B begins flight testing, and the Airbus A400M crash. Craig Harwood is a professional Engineering Geologist and as a hobby he enjoys researching and writing about history. His book Quest for Flight draws out of obscurity and documents the fascinating backstories in the conquest of the skies. The work and influence of American aviation pioneer John J. Montgomery serves as a framework for understanding the western contributions in the quest for flight in America. Montgomery was a scientific inventor in the late 1800’s who observed and tried to mimic bird flight. His research caused him to turn to soaring birds for inspiration and he demonstrated controlled flight with his manned gliders. We talk about societal attitudes toward flying at the time, the different motivations of early pioneers, and the roles of women in early aviation. We also discuss how the stories of others were overshadowed by the Wrights, who actively worked to protect their position as the originators of manned flight. Quest for Flight: John J. Montgomery and the Dawn of Aviation in the West is available from publisher The University of Oklahoma Press and Amazon.com. You can contact Craig Harwood via email. The 1946 movie Gallant Journey starred Glenn Ford as John J. Montgomery. A Chicago judge dismissed a lawsuit filed by United Airlines against a 22-year-old. Last November United Airlines and Orbitz filed a civil lawsuit in against Aktarer Zaman who created Skiplagged.com. That site helps people with the “hidden city ticketing” strategy for low cost airfare. United and Orbitz claimed that Skiplagged provided “unfair competition” and promoted “strictly prohibited” travel. The suit was filed in the Northern District Court of Illinois, but the judge in Chicago has now ruled that court has no jurisdiction because Zaman didn’t live or do business in that city. Travelers should make arrangements directly with Cuba Travel Services for these flights operated by JetBlue. The Pratt & Whitney Geared Turbofan jet engine has over 5000 sensors, creating 10 Gigabytes/second of data per engine, or 2.04 Terebits/second for a twin engine airplane. P&W estimates data streaming will reach 12 Petabytes each year and they have partnered with IBM to create the data center capacity. Rolls Royce, Pratt & Whitney and some other partners teamed up to form International Aero Engines in 1983 to produce the V2500 engine for the Airbus A320 family and McDonnell Douglas MD-90. In 2011, P&W bought out Rolls Royce, which effectively removed RR from the narrowbody market. Now the departing CEO of Rolls-Royce said P&W parent company United Technologies Corporation is an “obvious” potential partner. Competing with the P&W GTF on the A320 family is the CFM International Leap-1A. The Leap-1B is sole sourced for the B737 MAX. and the Leap-1C variant powers the Comac C919. An Airbus A400M military transport plane crashed outside Seville one mile from the airport, killing four test crew and injuring two others. The aircraft was on its maiden test flight before being delivered to Turkey. David Sudworth brings us his story of a perfect flying day in the UK. John J. Montgomery aloft in “The Evergreen” — photo from the San Diego Air & Space Museum archive. This entry was posted in Episodes and tagged A400M, CFM, glider, history, jetBlue, Orbitz, Pratt & Whitney, Rolls Royce, United Airlines on May 13, 2015 by maxflight. 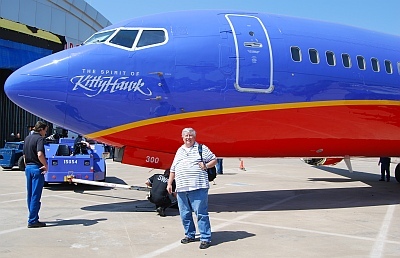 Brian Lusk is the Corporate Historian for Southwest Airlines and a long time airline veteran. He writes for Southwest’s blog, Nuts about Southwest and Tweets as @blogboy. We talk with Brian about preserving airline history, the Frontiers of Flight Museum, and Southwest at AirVenture 2011. Steve Visscher and Grant McHerron have their Australia Desk report. Be sure to listen to the Plane Crazy Down Under podcast, and follow the show on Twitter at @pcdu. Steve’s at @stevevisscher and Grant at @falcon124. This week on Across the Pond, Pieter Johnson talks with Gareth Stringer Deputy Editor of Global Aviation Resource (@gaviationr) about The Hanger, a social media portal for all those interested in aviation. Gareth is @Gareth_Stringer on Twitter. Will the A380 fly for U.S. airlines? What do you want from Oshkosh 2011? This entry was posted in Episodes and tagged AerCap, American Airlines, Aviation museum, Cessna, China, Delta Air Lines, history, Known traveler, Wichita on July 19, 2011 by maxflight. Aviation historian Anne Millbrooke is our guest. Anne is the author of the award winning book Aviation History, as well as Abbreviations, Acronyms, and Alphabets of Aviation: A Guide to Contemporary and Historical Terms Found in Aviation Literature. She is an Adjunct Professor of History at Embry-Riddle Aeronautical University and also at the American Public University System. Anne is a writer, researcher, coach, speaker, and you can follow her on Twitter at @AMWriter. Steve Visscher and Grant McHerron from the Plane Crazy Down Under podcast provide their Australia Desk Report. Follow their show on Twitter at @pcdu, Steve at @stevevisscher and Grant at @falcon124. In this weeks Across the Pond segment Pieter Johnson talks to Gareth Stringer, Deputy Editor of Global Aviation Resource about UK airshows and some interesting visits. Follow Gareth on Twitter @gaviationr and Pieter at @Nascothornet. Thanks to Scott Spangler for his contribution. Post photo by Stephen Tornblom. This entry was posted in Episodes and tagged accident, Air France, airline capacity, American Airlines, Cirrus, Delta Air Lines, E170, FAA, history, Republic Airways on May 3, 2011 by maxflight.